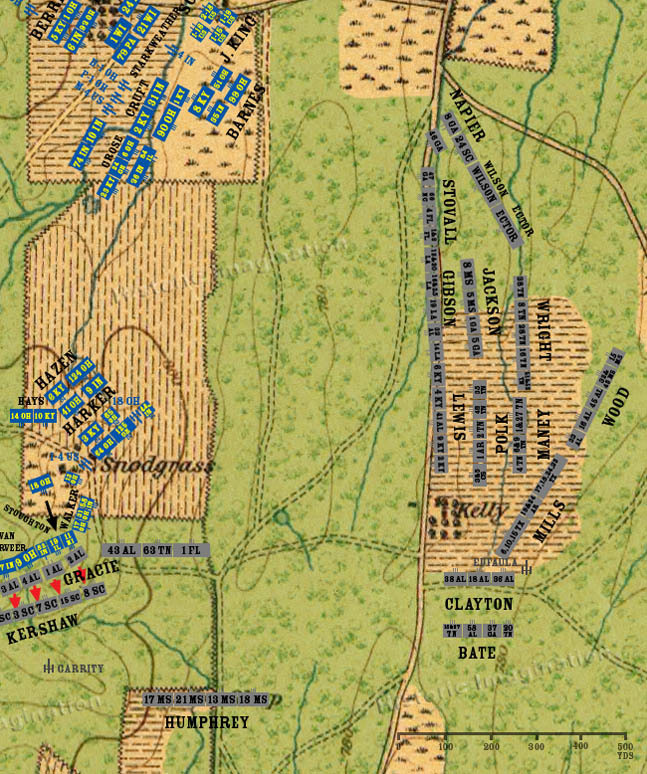 The Confederate Right Wing ends its pursuit at the Lafayette Road. Other than sending out skirmishers, the units camp where they are. They make no attempt to pursue the retreating Federals, or outflank the Snodgrass Hill line.